Can someone be a pal and send in a picture of John's full "Enter, Purseud By A Memory" outfit? Thanks. Btw the loading is infinite rn, is it a common problem with 1.00? I know John's facial hair can't grow past 7 but what about Arthur's beard? I'm on the most recent patch and I have taken well over 10 hair tonics and slept and traveled between Strawberry and Valentine multiple times and it just won't go past level 7. So did the screw up both of their facial hair growth? I need some help with that infinite loading screen...is my save corrupted or something, should I clear the cache? Your on Xbox right? UK? Yes since patch 1.02. 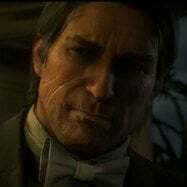 John and Arthur BOTH have the ability to grow beards to level 10, but Rockstar f*cked it up somehow and says John having a level 7 beard is a design choice which is bull sh*t.
It should be disabled for some outfits you can buy. Also if you saved an outfit before buying the holster it will stay. The "day one" patch fixed those little things, but also f*cked up many other things, like beard growth, and John's gloves and pants and have stuck ever since. Can someone send a picture of John's chapter one outfit please? johns vest is open in 1.00?? Nope, sadly his vest is still closed in 1.00. I think there might be some photos of John in his chapter 1 outfit a few pages back in this forum. John is forced to use the off hand holster in epilogue 2. When he steps out of the safe house in the mission "Motherhood" he's wearing the damn thing. I just hate it so much on John, I think it looks good as Arthur but I hate it as John. ive started doing the union suit glitch, then putting on clothes just to get rid of it. 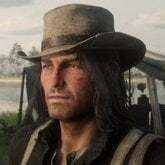 I just do not understand why Rockstar would put so much attention and work and detail into John's clothes to then just make them unavailable when you play him. It's a loss on our end, and theirs really. so they can put them in RDO at high prices to try & lure the mostly single player fan base into their cash cow. Nice. Did you get arrested and skip the rescue cutscene?